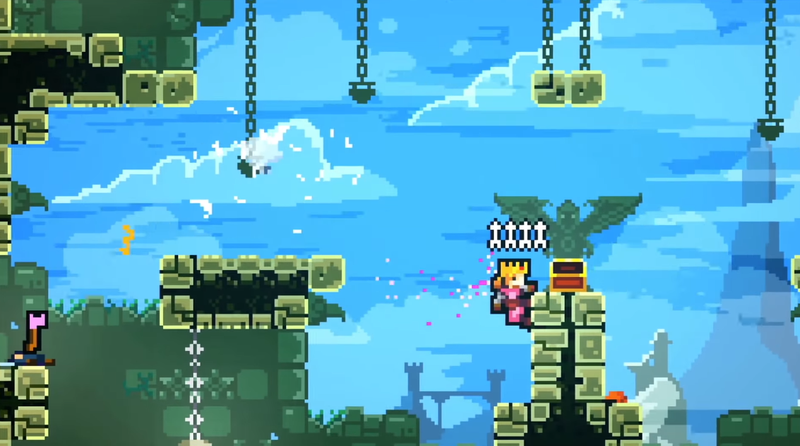 TowerFall is out on the Switch today, just over five years after it originally released on the ill-fated Ouya. It was one of the best party games then and has continued to be one of the all-time best since. It’s still great on Switch, but more than anything I can’t get over is how much fun I’ve had playing it alone. 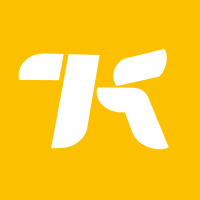 Developed by Matt Thorson’s studio Matt Makes Games, which also released Celeste earlier this year, TowerFall is simple, tight, and economical. In versus, the game’s core mode, two or more players run, jump, and wall grab their way through a 2D pixel animated level with a single arrow they can use to kill others. Missed shots leave the arrows vulnerable to being snatched up by an opponent, while a perfectly timed dodge right as you’re about to collide with a shot will let you grab it out of mid-air. It’s a simple concept that’s expertly executed. Every moment feels perfectly weighted, and every press of a button or flick of the thumb stick feels immediately responsive. The Switch version includes new characters like Madeline from Celeste. There was only one problem: The game is so exacting that online play isn’t an option. As developer Bennet Foddy wrote at the time, the lag obstacles would be too much to overcome. Plus, in an era where couch co-op was dying out, wasn’t it great for there to be a party game that demanded people get together in the same room? I found Foddy’s arguments persuasive. When TowerFall released on PS4 in 2014 I summoned a group of friends over to play. For a few matches I got to experience the multiplayer magic everyone had been glowing about the year prior. Then a few people left and we played some of the co-op quest mode. Finally it was just me, and I never touched the game again. Maybe Foddy was right, but in practical terms I was out of luck. Playing the game on Switch while commuting or falling asleep, I’ve come to a newfound appreciation of the solo TowerFall experience. There’s a target-breaking practice mode similar to Smash Bros., but I’ve gravitaed more often to solo questing. In this mode, which was added when the game’s Ascension expansion came out, you complete stages by surviving a certain number of progressively harder waves. Horde modes of this sort are usually best in co-op, but thanks to TowerFall’s minimalism it doesn’t feel lonely so much as meditative and therapeutic, especially the continuous shooting of arrows followed by running to pick them back up again. The Switch port includes wide-screen levels for six-player matches. If playing solo isn’t for you, the Switch port adds more options for group play. There’s a new six-player option which isn’t onerous to set up thanks to the ubiquity of Joy-Con out there, as well as larger levels to accommodate the additional chaos, similar to Smash Bros. Melee’s infamous Legend of Zelda temple level. Beyond these bells and whistles, the Switch makes it possible to easily take TowerFall with me wherever I want, whether that means playing alone on the train or hustling a few friends in the corner of a get-together. Not groundbreaking, I know. The Switch has done something similar for a host of other party games like Mario Kart 8 and, come December, Smash Bros.Ultimate. But it’s a big deal for a game that originally launched exclusively on a small, proprietary silver cube running Android. The quintessential TowerFall experience, in all its dimensions, has always deserved a wider audience, and thanks to the Switch its definitive version, now it has one.